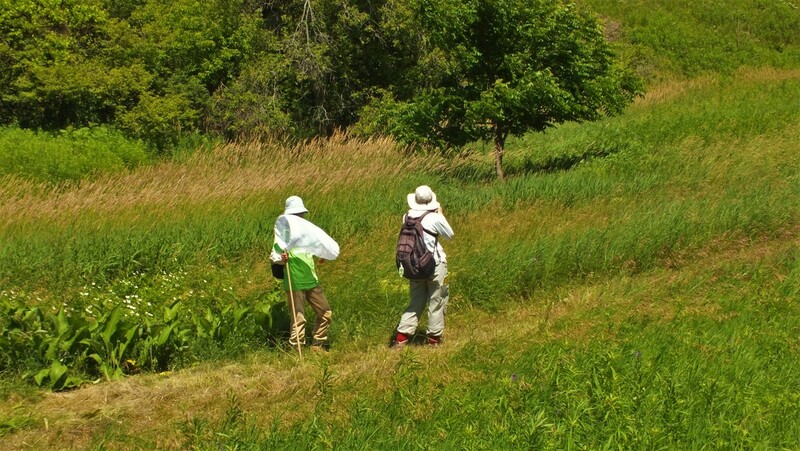 Every year the list of local community BioBlitzes grows, making sure to keep everyone busy surveying and learning about biodiversity across the province. 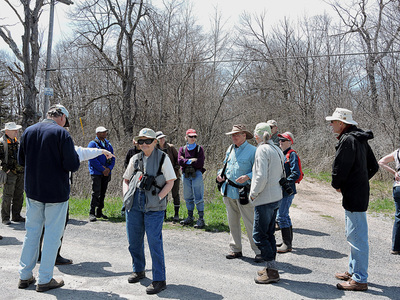 You can even start your own event - reach out to your local naturalist group or conservation authority! ​Below is a map and chronological list of past events for reference, as well as some details and photos (click small images to view larger versions of them). ​If you are interested in blitzing in a location below, you might be able to reach someone via the contact info listed - if not, try to reach out to the organizations that hosted each event. Don't live in Ontario, but want to bioblitz? 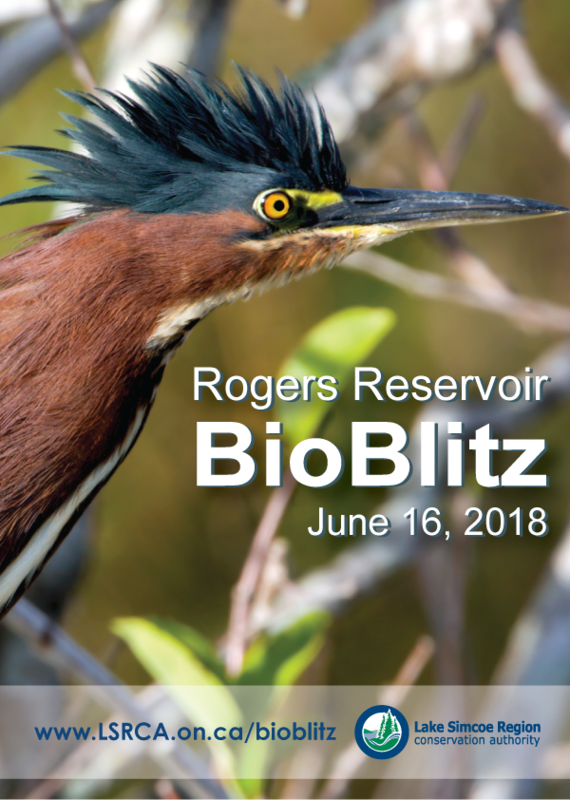 Be sure to check out the BioBlitz Canada website for a calendar of bioblitzes happening across Canada, and to find out more about the 2017 BioBlitz Canada 150 project's results from around the country. 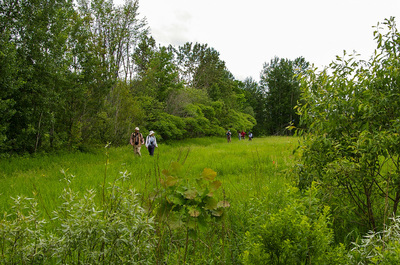 Help the Oak Ridges Moraine Land Trust collect valuable information about the properties they protect by participating in a BioBlitz at the Happy Valley Tract and a nearby Nature Reserve. Volunteers and experts will be teamed up in small groups to try and identify all the living things on the properties, from fungi hidden in the leaf litter, to majestic trees, and spring ephemerals. Both properties contain aquatic ecosystems so characteristics of the Oak Ridges Moraine: a stream and kettle lake. 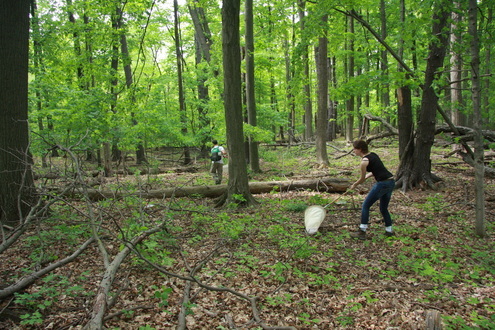 Over a 24-hour period, groups will be blitzing both properties, conducting a biological inventory of them, and contributing to the records that the Land Trust can use to guide management activities. Opportunities are available for all skill levels: from nature hikes for the beginner, to being a volunteer blitzer, to sharing your knowledge and leading a group as an expert. Register here for the Happy Valley BioBlitz! 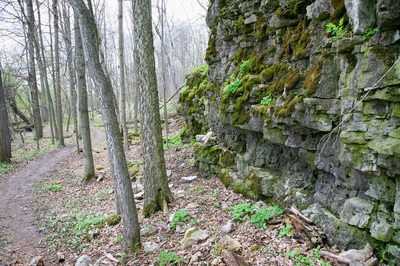 Where: Basecamp is at Historic Fort Willow in Utopia, Ontario, hikes leave from various locations. 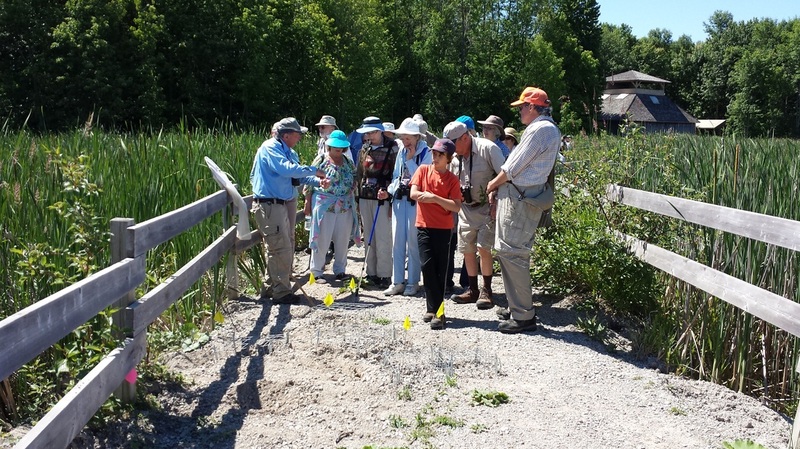 With our partners the Nottawasaga Valley Conservation Authority, Nature Conservancy of Canada and Ducks Unlimited Canada, the Friends of Minesing Wetlands are pleased to announce the 2nd Annual Minesing Wetlands BioBlitz on Saturday, June 2nd, 2018! 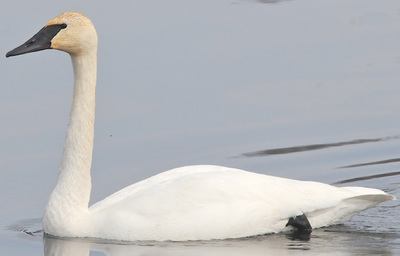 The Minesing Wetlands is one of Southern Ontario’s largest wetland and is home to many unique habitats, vegetation communities, and a vast array of wildlife. 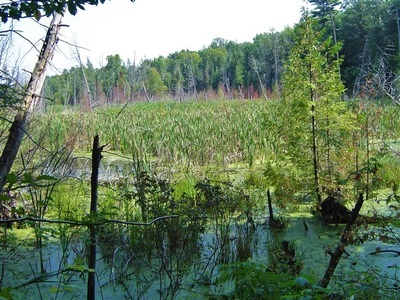 The Minesing Wetlands, previously known as the Minesing Swamp, is a Ramsar-designated (internationally significant) wetland located in south-central Ontario just 16 km west of Barrie. 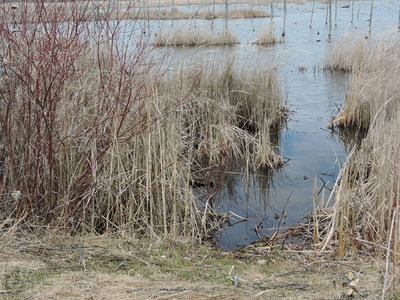 The Minesing Wetlands are one of the largest wetland complexes in southern Ontario and host the largest and best example of a string fen in this part of the province. 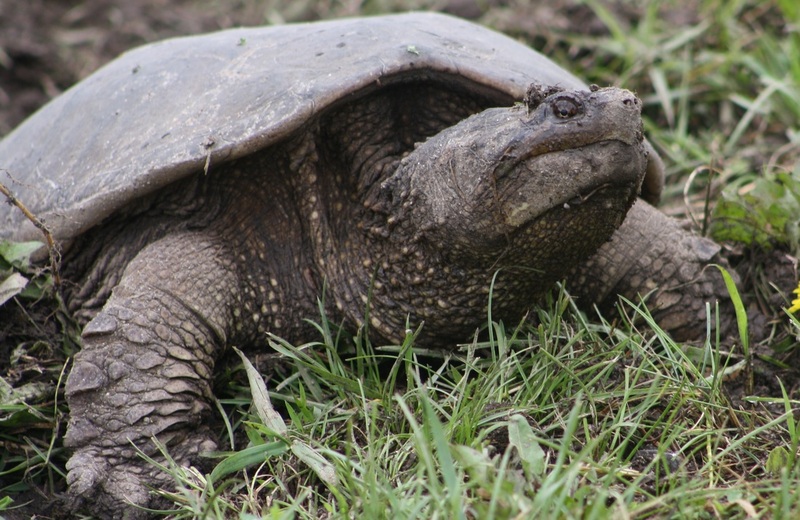 The Minesing Wetlands have also been designated as a Provincially Significant Wetland (PSW) and a provincially significant Life Science Area of Natural and Scientific Interest (ANSI) by the Ontario Ministry of Natural Resources and Forestry (MNRF). 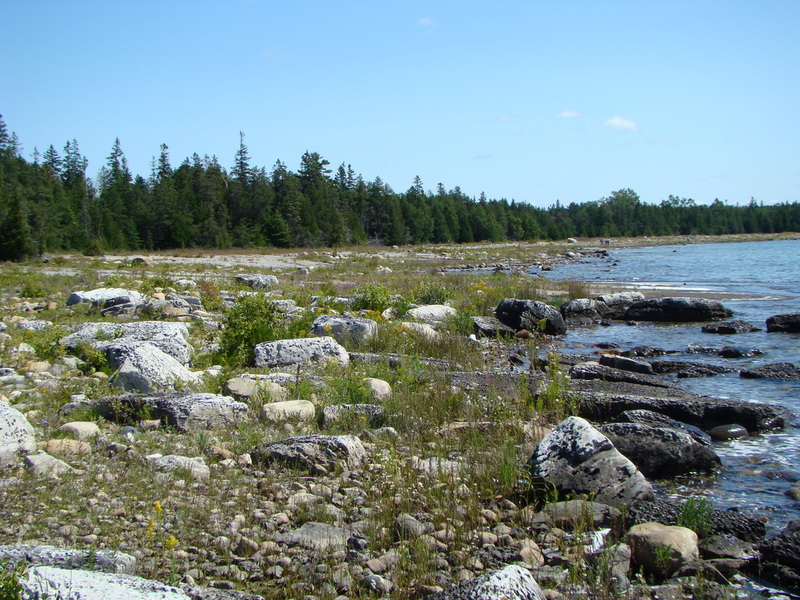 Help MacGregor Point Provincial Park celebrate Ontario Parks' 125th anniversary by contributing to the ecological legacy of the park. 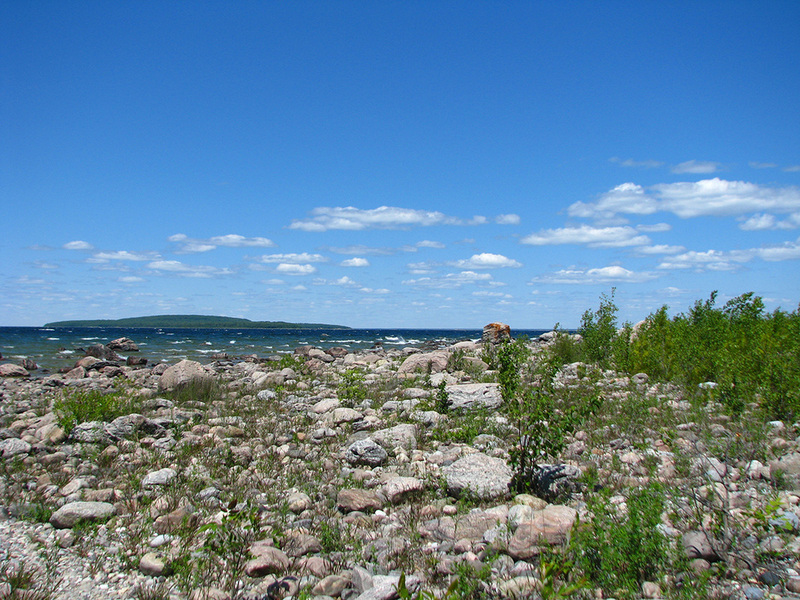 Participants will complete a biological "blitz" survey of MacGregor Point over a 24-hour period to collect data on what species can be found here in this unique complex of ecosystems. This information is extremely beneficial to our records and future projects. Surveying shifts and teams will be assigned based on experience and expertise. 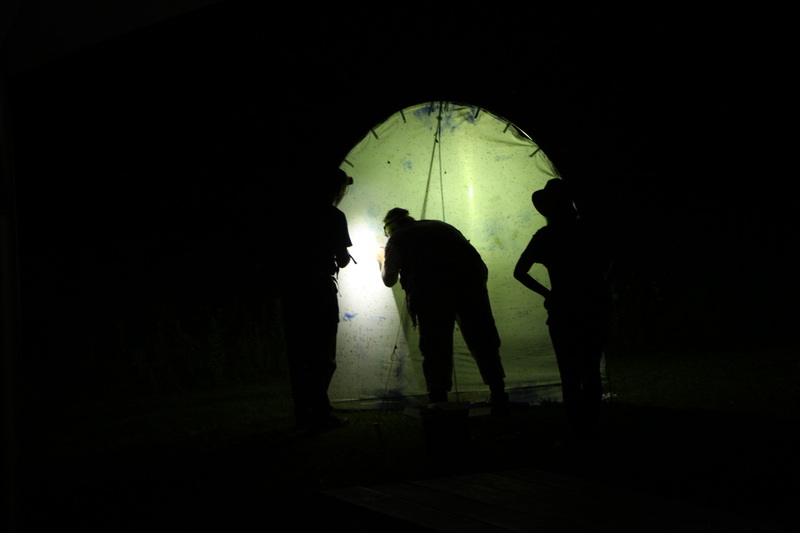 Teams will be sent out at varying times throughout the 24-hour period, depending on the group of species being looked for (example: birds best observed early morning, amphibians best observed at night). EVERYONE IS WELCOME! Please contact fompp@bmts.com if you would like more information. 24 hours and hope that everyone, including our volunteers, will find it a fun and educational event. This BioBlitz follows Blitzes in this location in 2000 and 2002 and will serve to show changes that have occurred in the past 16 years as well as add to the tally. The BioBlitz takes place from 3:00 pm on Friday, 15 June, to 3:00 pm on Saturday, 16 June, 2018. ​The event will run, rain or shine. We are delighted to hold this special 20th BioBlitz at our own property - the Helen Quilliam Sanctuary. This 498 acre property on the Canadian Shield has a variety of habitats including deciduous and coniferous forest, stream, lake, rocky outcrops, cliffs, marshes, ponds and an acid bog. Camping. There will be no camping at the site. June 15 or between 8:00 am and 2:00 pm on Saturday, June 16. 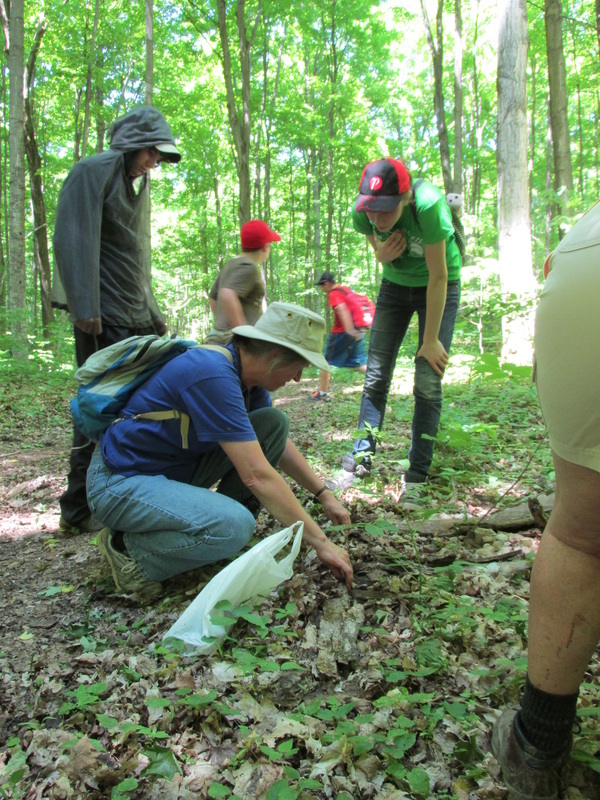 Help the Oak Ridges Moraine Land Trust collect valuable information about the properties they protect by participating in a BioBlitz in Uxbridge. 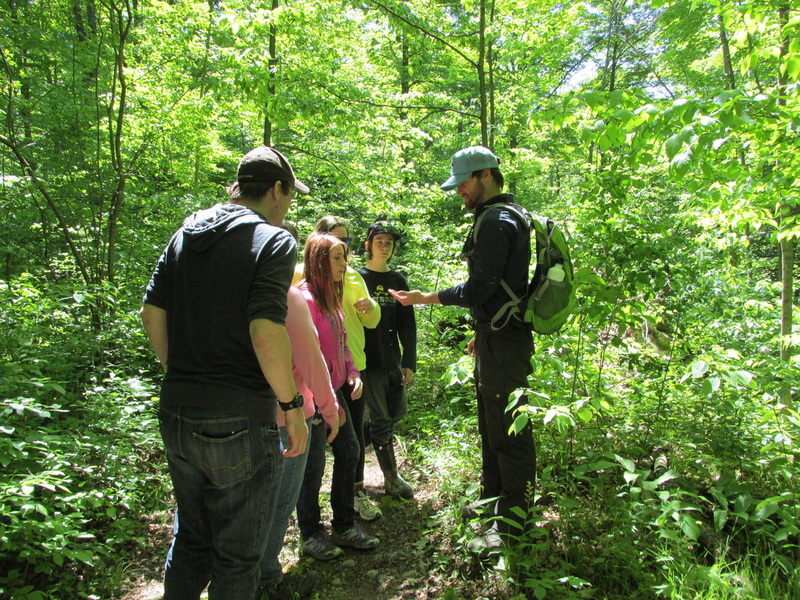 Volunteer and experience the opportunity to explore a protected property not usually open to the public. 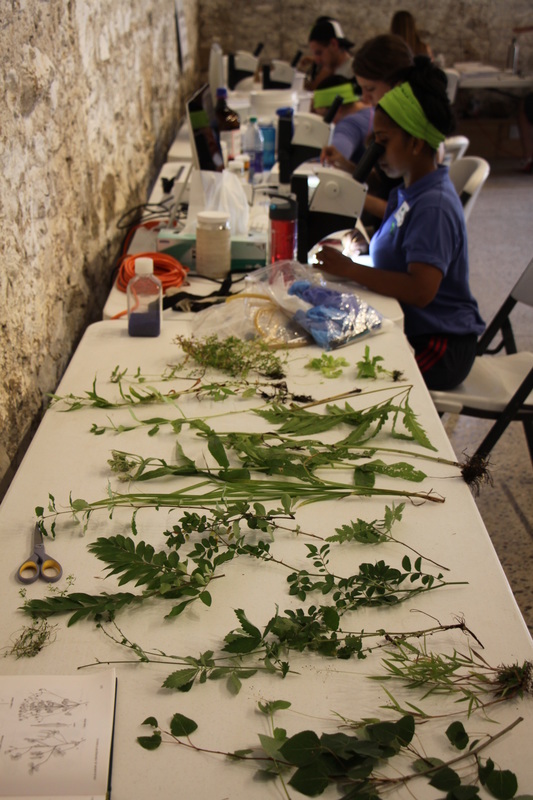 Volunteers and experts are teamed up for 3-4 hour shifts to identify all the species living on the property, and contribute to the records that the Land Trust can use to guide management activities. 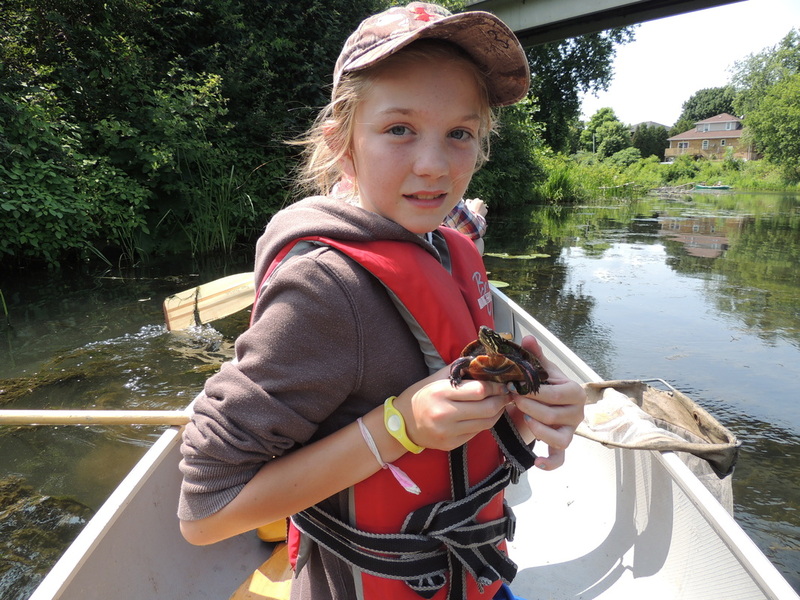 Register Here for the Uxbridge BioBlitz! 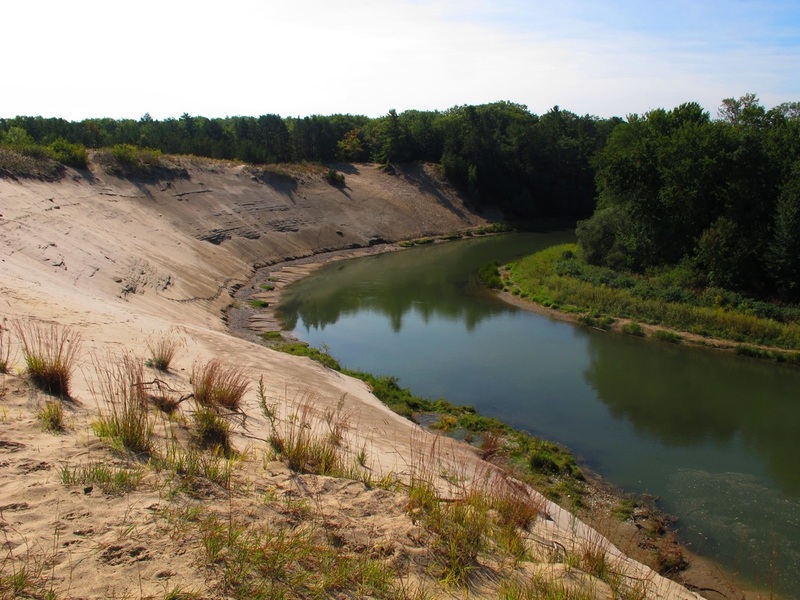 Rogers Reservoir consists of a mix of riparian and upland forest, a small plantation, wetlands, both naturally occurring and recently constructed, and meadow habitats. 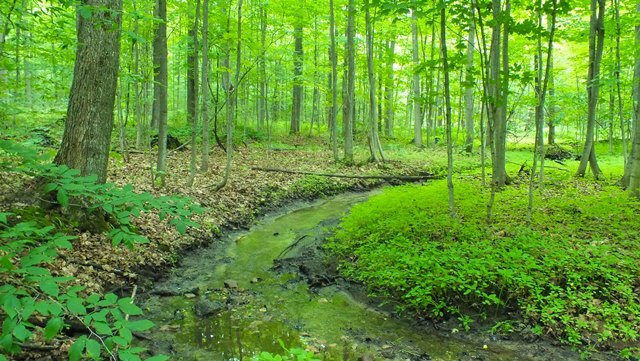 It has been very successful in adapting to successional changes, and is home to a number of watershed rare species including black walnut, wild coffee, bobolink, meadowlark, redside dace, and snapping turtles. 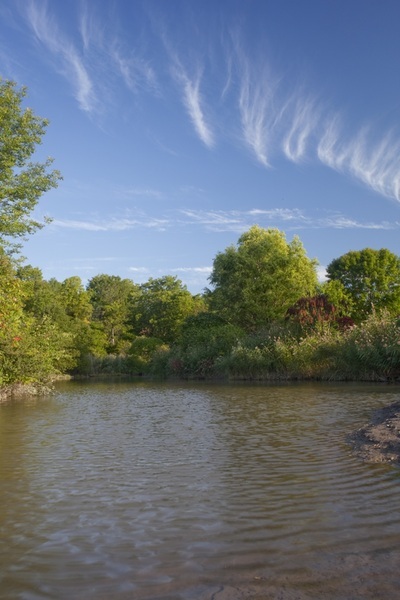 The lands and waters of the Cootes to Escarpment EcoPark System are a Canadian biodiversity hotspot. If you are an expert in flora and fauna or simply love nature and are looking to explore what the Ecopark has to offer, we need your help! Join us for our second annual BioBlitz event to identify as much variety of living things as possible. Maybe you will discover something we never knew was here before! Join us as an expert to inventory the area or as a citizen scientist by partaking in engaging guided hikes on Friday and Saturday. 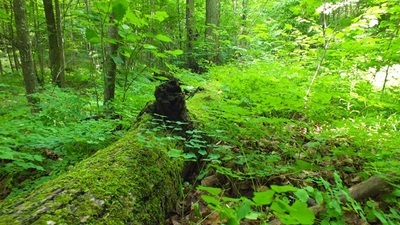 The Ganaraska Forest is one of the largest continuous forests in Southern Ontario. This blitz will be surveying selected biodiversity hotspots within the 11,000 acres forest! On Sunday, June 24th we invite the public to join our experts at the Ganaraska Forest Centre as we reveal the species that have been identified during the blitz! Conservation Workshops, Live Animal Presentations a Guided Walks will also be offered to the public on the 24th. 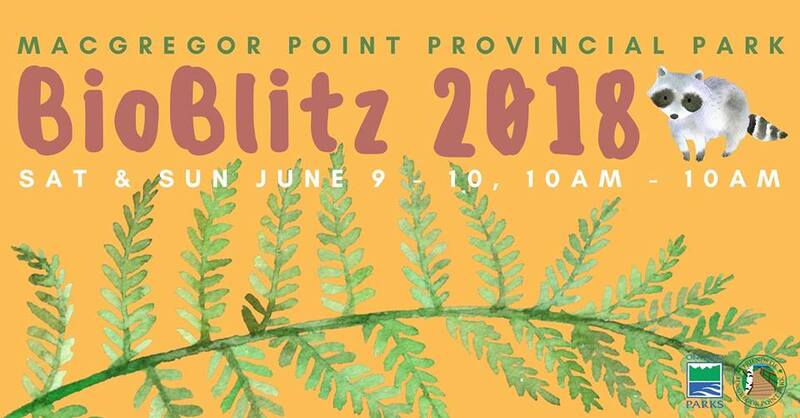 In celebration of Point Pelee's 100 years of conservation and even more years of ecological study and monitoring you are invited to join our first all park, all species BioBlitz. Over a 24 hour period, the park's resources conservation staff will be joined by national experts and local naturalists to conduct a search for all different kinds of species in the park. Join experts for talks and hikes on different groups of species found in the park, or volunteer your time and assist with the count. Contact the park for more information on how to participate or to register as a volunteer: pelee.info@pc.gc.ca or 519-322-2365. 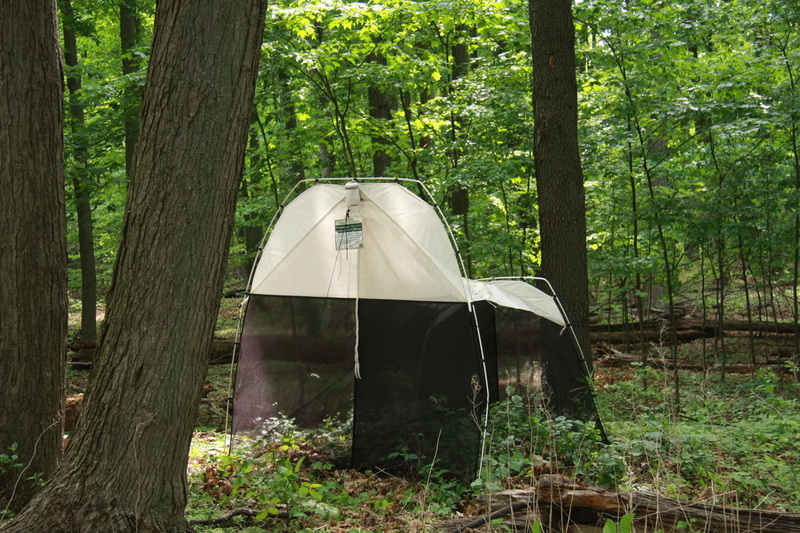 Help the Oak Ridges Moraine Land Trust collect valuable information about the properties they protect by participating in a BioBlitz in King Township. An ancient kettle lake sits on the property and was formed by the melt waters from the last glacial period over 12,000 years ago. 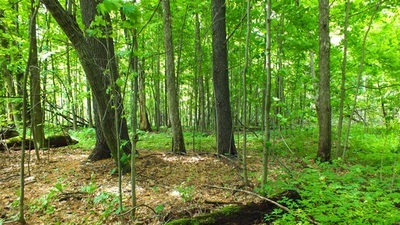 Surrounding the shores are beautiful forests and meadows. 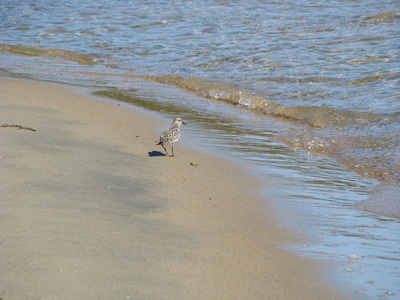 The varied habitats within this protected area provide home for hundreds of bird, mammal, and insect species to discover. 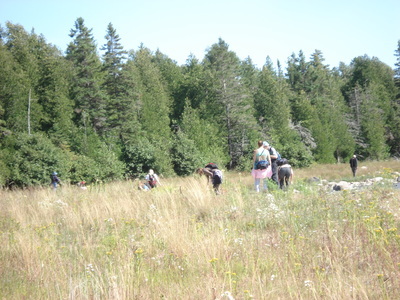 Volunteer and experience the opportunity to explore a protected property not usually open to the public. Register Here for the King BioBlitz! 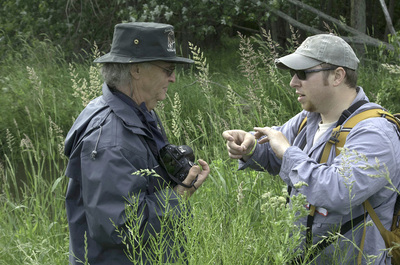 A BioBlitz is an event that completes an intense biological survey of a specified area. 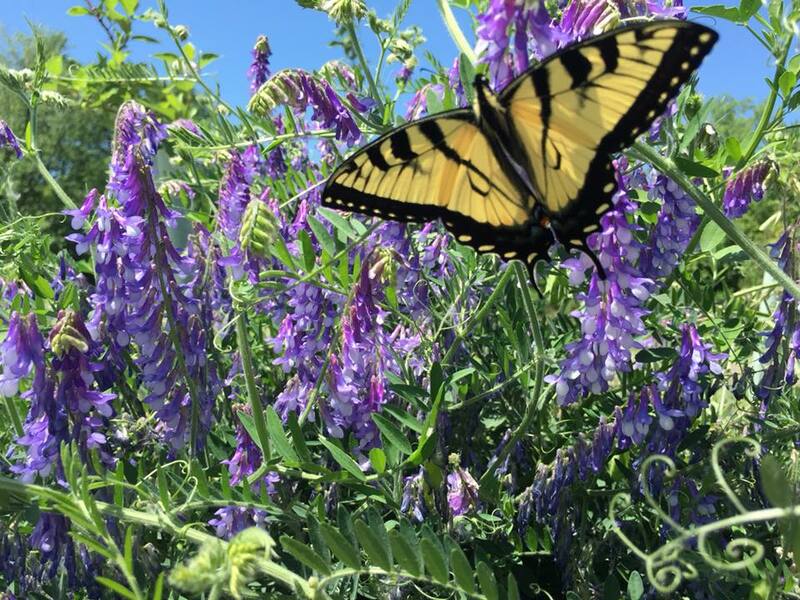 The event is volunteer-based and involves scientists, community members, and amateur enthusiasts, coming together with the common goal of identifying as many species as possible within the specified time frame. 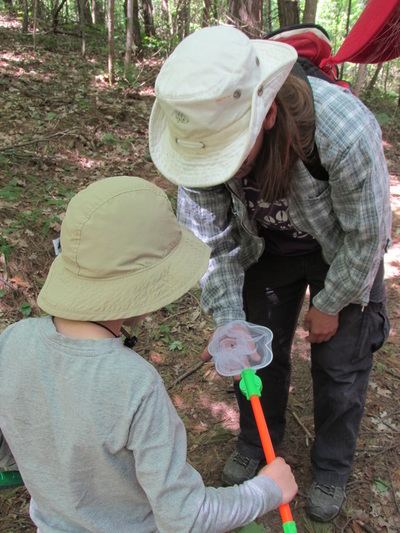 BioBlitz events are increasing in popularity, as they promote citizen science, engage the public and produce species inventories. 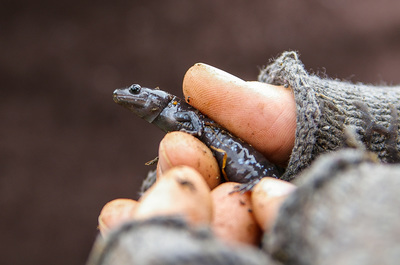 These events are intended to provide a ‘snap-shot’ of the species diversity found in a location and data collected helps create a baseline for researchers and the local community to monitor biodiversity over time. 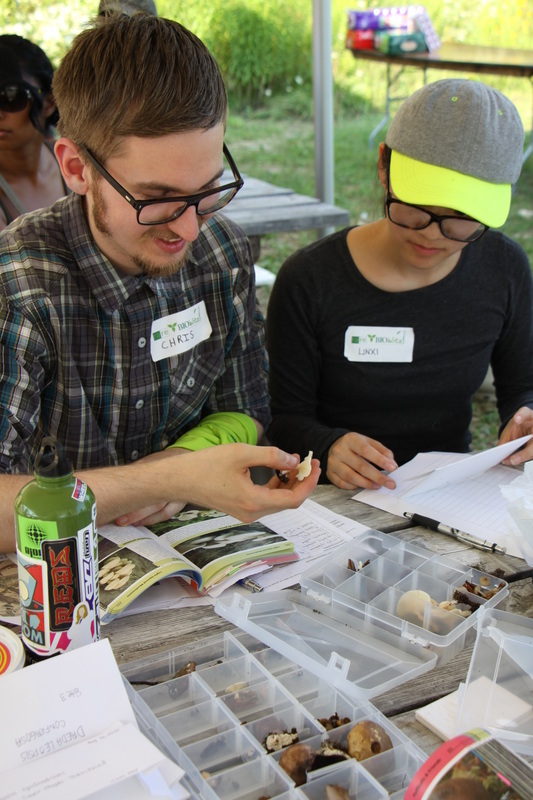 With anthropogenic factors (such as development, pollution and climate change) affecting species and their habitat, BioBlitz events conducted by citizen scientists are needed more than ever. 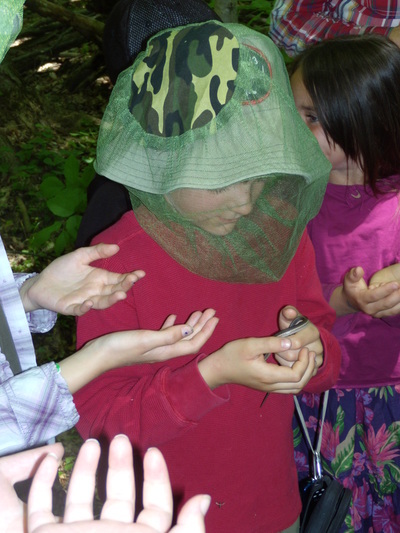 Engage in citizen science and learn more about what’s living in your backyard! Calling all expert naturalists, amateur naturalists, nature enthusiasts, outdoor junkies, and everyone under the sun! Join us for the 3rd annual Wintergreen Studios BioBlitz, MAY 24 – MAY 28, 2017 and help us celebrate our natural heritage and learn to love our Mother Earth! … wait a minute, that’s more than 24 hours! That’s right! This year we’re planning a “slow” blitz, modelling our event after the slow food movement. The goal remains the same – to provide a snapshot of the biodiversity on site by identifying as many plants, animals, birds, fungi, and other species as possible, but we’ll be slowing down the pace a bit. This will give everyone a chance to be more mindful and experience all the area and atmosphere has to offer, as well as learning about different species with a spectacular selection of daily workshops. Lets all come together for this FREE, family-friendly event, to observe more, learn more, and protect what sustains us because we depend on biodiversity and now biodiversity depends on us! 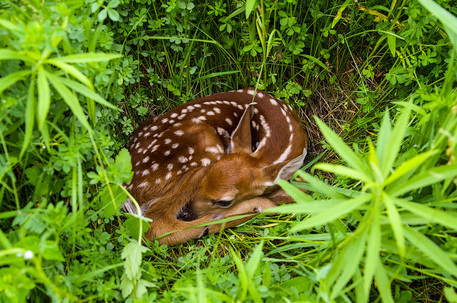 Calling all naturalists and nature-lovers alike! 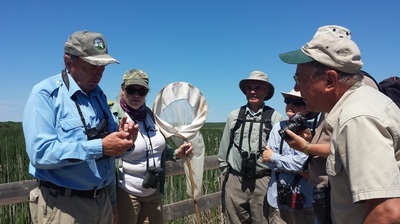 The Friends of Minesing Wetlands is celebrating it's 20th year of a non-government, not-for-profit group who's main goal is to promote educational, recreational and public awareness about the internationally significant Minesing Wetlands. 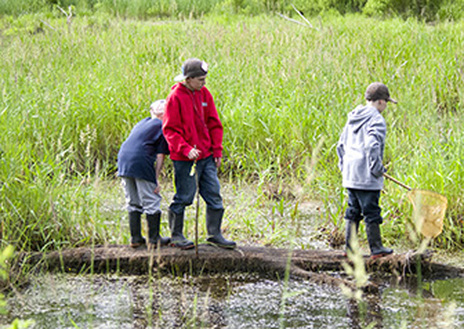 In honour of this very special milestone the Friends, with partners the Nottawasaga Valley Conservation Authority, Nature Conservancy of Canada and Ducks Unlimited Canada, we are pleased to announce the First Annual Minesing Wetlands Bioblitz! The Minesing Wetlands is one of Southern Ontario’s largest wetland and is home to many unique habitats, vegetation communities, and a vast array of wildlife. 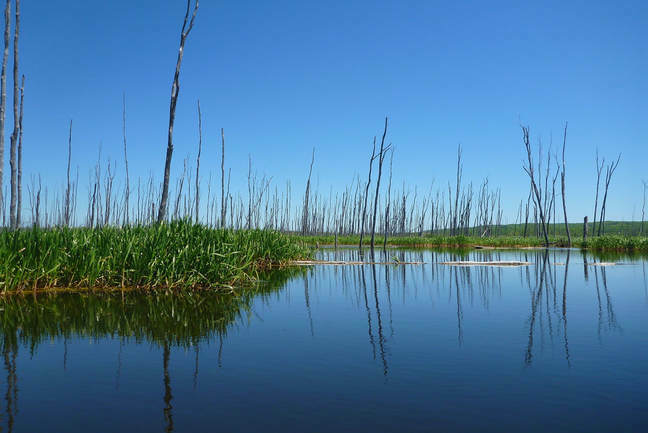 The Minesing Wetlands, previously known as the Minesing Swamp, are a Ramsar-designated (internationally significant) wetland located in south-central Ontario. The Minesing Wetlands are one of the largest wetland complexes in southern Ontario and host the largest and best example of a string fen in this part of the province. 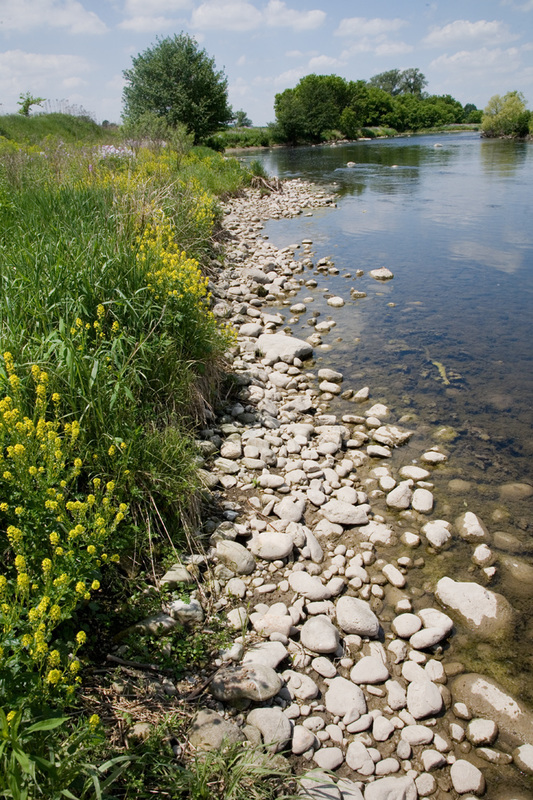 The Minesing Wetlands have also been designated as a Provincially Significant Wetland (PSW) and a provincially significant Life Science Area of Natural and Scientific Interest (ANSI) by the Ontario Ministry of Natural Resources and Forestry (MNRF). 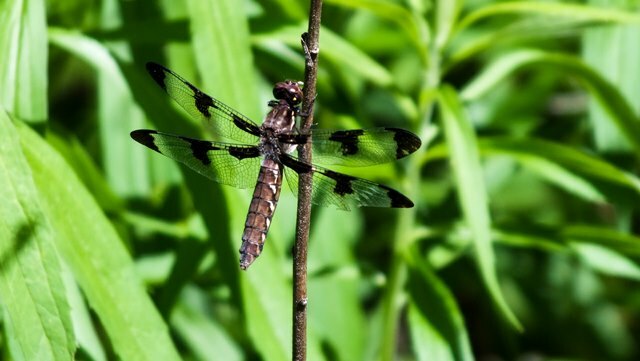 ​Join the Haliburton Highlands Land Trust for a 24 hour BioBlitz of all taxa at Dahl Forest, a 500 acre woodlands reserve straddling the Burnt River in Haliburton County, south of Minden, Ontario. 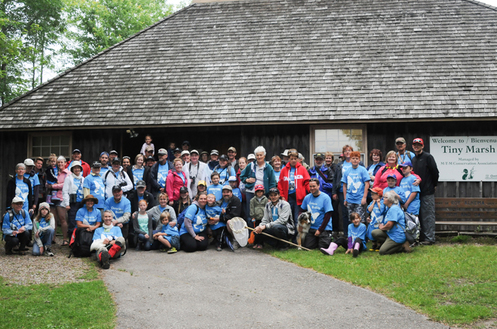 Please visit haliburtonlandtrust.ca for more information as it becomes available. With over 900+ acres to explore, there is much to discover at the rare Charitable Research Reserve. Guided by scientists and species experts, join us as we search the reserve as part of our first ever 24 hour BioBlitz! Become a citizen scientist by joining an expert-led team surveying the land for all the flora, fauna, and fungi we can count, and/or pop in and participate in a variety of environmental workshops and live animal shows throughout the weekend. This event has something for all ages and skill levels. Don’t miss our free barbeque and celebration on Saturday evening! ​Join local experts and naturalists for our first ever BioBlitz event! This event is a 12hr, community education event that will take place on the Shirley and George Pond Nature Reserve, directly north of the Turkey Point Marsh and Long Point Bay. More information can be found at our website www.longpointlandtrust.ca. 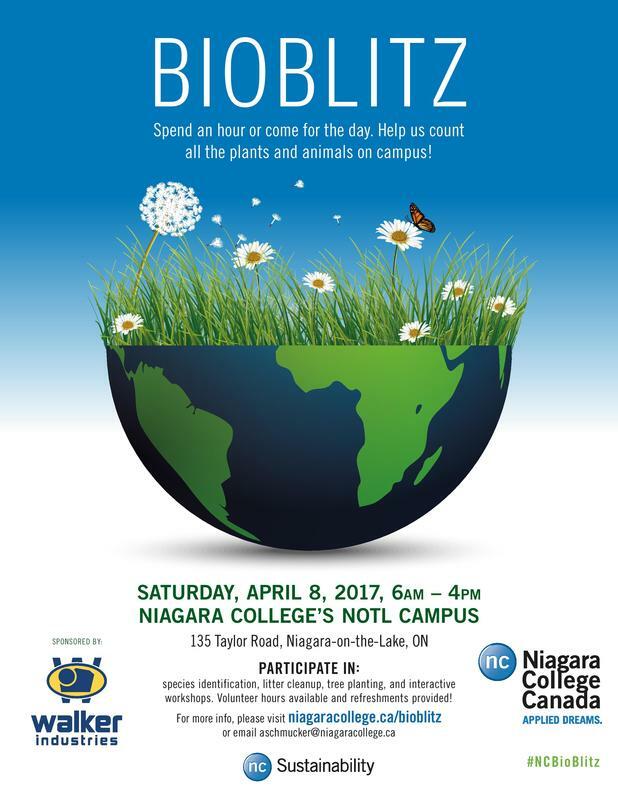 Niagara College is hosting a BioBlitz on April 16th 2016 from 9:00a.m. to 9:00p.m. at the Niagara-on-the-Lake campus. Students, staff and community members are invited to this free event and help collect information that can inform our species inventory of the campus! Please note, we would appreciate if you left your pets at home during the event - we don't want to scare off any potential species! Register for the Event by clicking here. The event home base will be located at the back of the campus under the large tent. Please look for the registration table when you arrive. 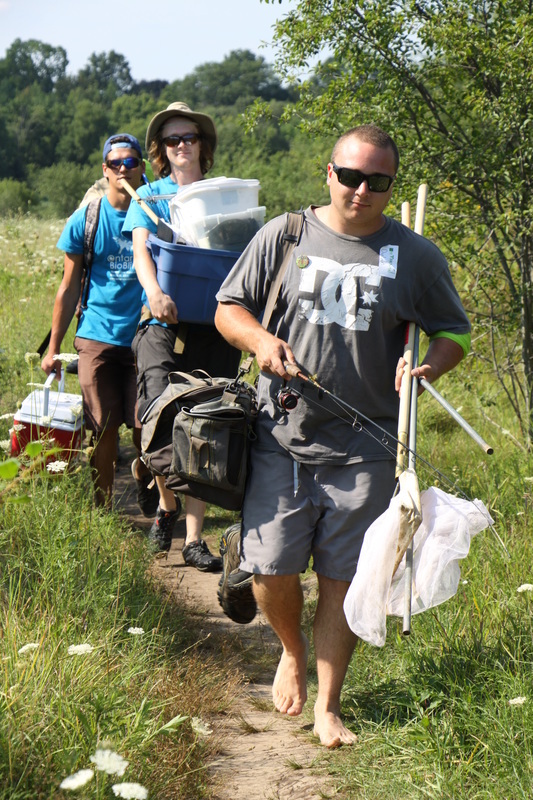 Members of the BioBlitz Planning Committee will help with anything you may need to set up! Also to note - parking is free on Saturday! Participants should dress for the weather and wear closed toed shoes, preferably hiking or rubber boots. There will be water available for participants as well as a free barbeque put on by the Student Administrative Council of Niagara College between 12:00p.m and 2:00p.m. For those who will be eating lunch, a monetary donation or a non-perishable food items will be collected to support the student food bank. 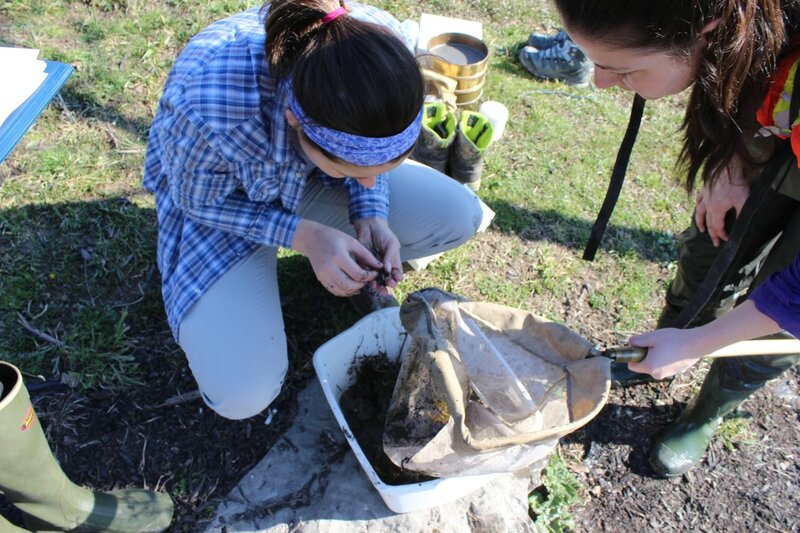 There will be a free event at the NOTL Campus on Thursday April 14th 2016 to promote the BioBlitz from 11:00a.m. to 2:00p.m. in the courtyard. Dave Gibson, CFWI Chef Professor will be hosting a Bald Eagle, a Great Horned Owl, a Snowy Owl, a Red Tail Hawk, a Griffon Falcon and a Barn Owl to raise awareness about birds of prey and biodiversity conservation! Members of the BioBlitz Planning Committee will also be there to answer any questions regarding the event. Immediately after the Birds of Prey event, there will be a volunteer orientation in room W213-1 from 2:30p.m. to 3:30p.m. for all BioBlitz volunteers. Head to the Get Involved Portal to find out how to sign up to volunteer here. ​Questions? Get in touch with Gina Pannunzio, Sustainability Engagement Officer by e-mailing gpannunzio@niagaracollege.ca or call (905) 735-2211 Ext. 7455. 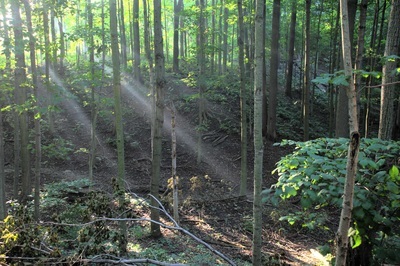 East Cross Forest is a story of recovery and regeneration. 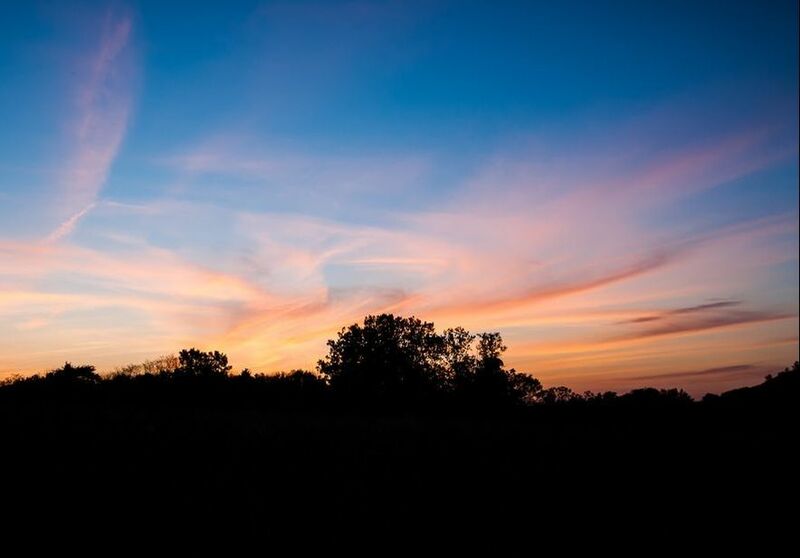 This property is located almost in the middle of the Oak Ridges Moraine and has been the sight of decades of incompatible uses including mud bogging, 4 wheel drive off-roading, and bush parties (burning cars and all!). 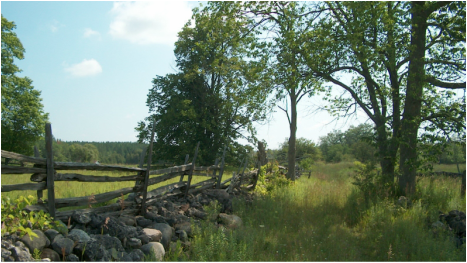 That all ended when Kawartha Conservation took ownership of the first 552 acres in 2006. Environmental clean-ups have kick started the process of cleaning up this property, and father time has contributed as well. 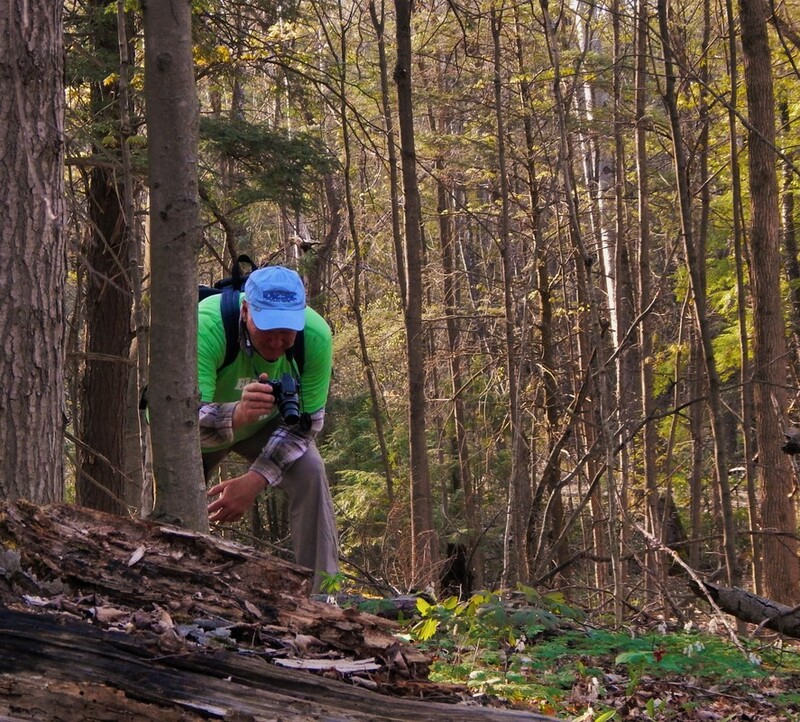 Now it is time to explore this wildly diverse Moraine property to document its richness. Since 2006, the protected area has grown to over 1,300 acres of wetlands, sugar maple forests, pine plantations, open meadows, and sand barrens. This spectacular property has something for everyone! 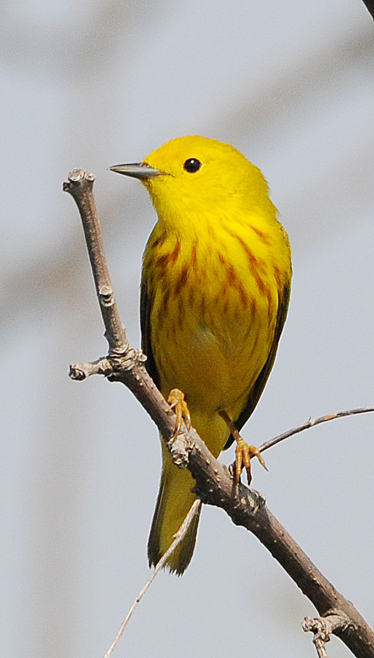 Some of the unique birds noticed on the property include Wood Thrush, Canada Warbler, Northern Flicker, and the Savannah Sparrow. Imagine an island of green, where cool waters flow from natural seeps, at risk trees like the Butternut cling to the soil, and birds and amphibians chirp and call in the dawning hours. This beautiful oasis is an island, but it isn’t surrounded by water. Instead, it is surrounded on 3 sides by new housing developments. The pressures on this 40 acres is enormous! 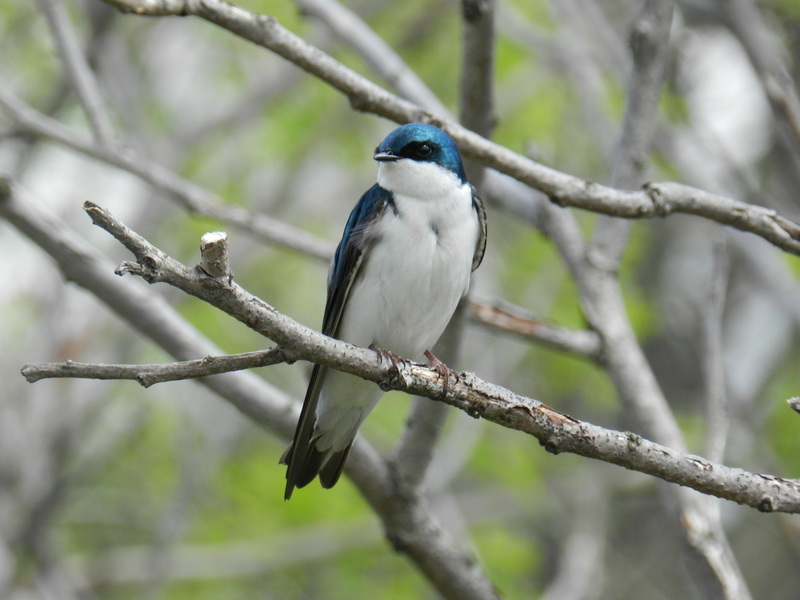 Now is the time to document the diversity of species in this mixed hardwood forest, so that we can better understand the impacts of development and settlement on our natural areas. 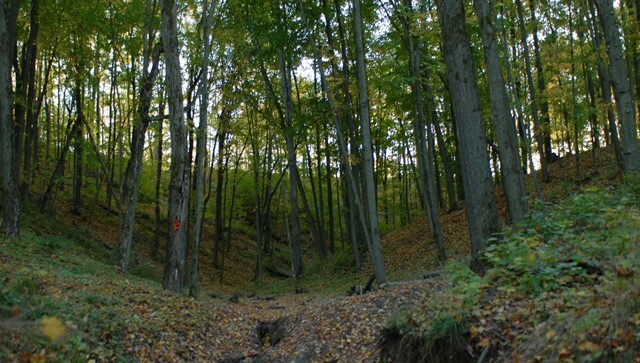 The nurse logs in this forest are outstanding, and you’ll even have a chance to see a blue beech tree – a rare sighting in this area of Ontario! 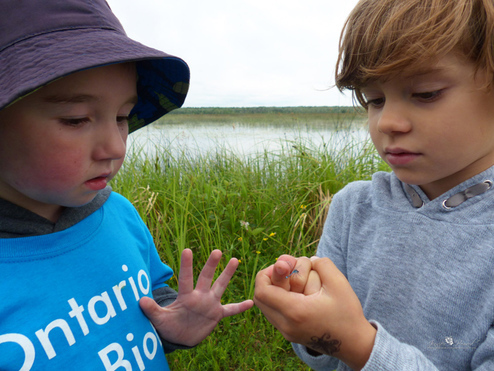 Come out and explore Awenda Provincial Park by participating in a 3-day BioBlitz event. 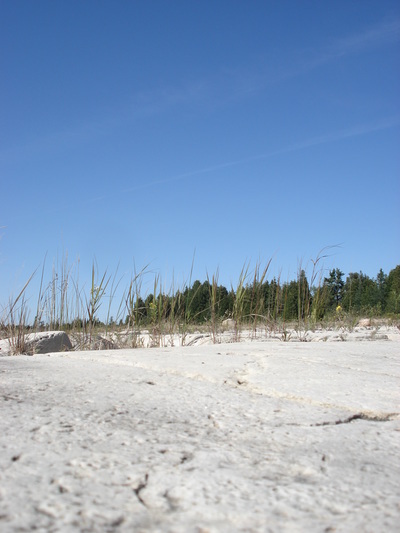 Awenda is located on the shores of Georgian Bay, and offers habitat diversity ranging from old growth forest to dunes and wetlands. The park also encompasses the majority of Giants Tomb Island, a biodiversity hot spot. 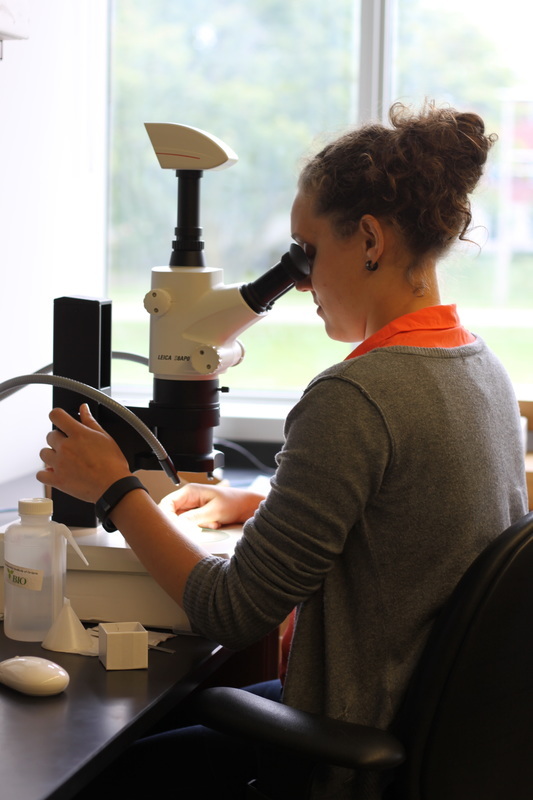 Awenda has rich species diversity that provides an exciting opportunity for all areas of interest and levels of expertise. Located in the heart of Simcoe County, Tiny Marsh Provincial Wildlife Area comprises of approximately 600 hectares of marsh and 300 hectares of field and forest. 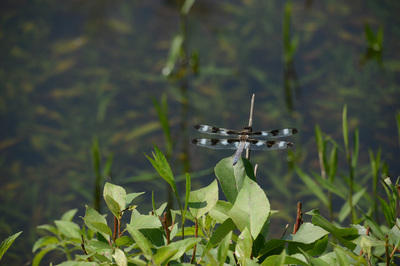 Starting at 6am, a series of 1 to 3 hour outings will highlight the diversity found within the marsh throughout the day. 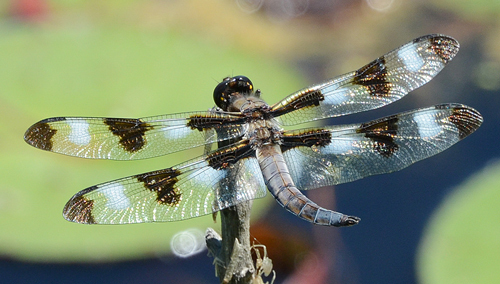 With our expert guides, you will learn about the birds, dragonflies, reptiles and amphibians, plants, pollinators and mammals that inhabit Tiny Marsh. 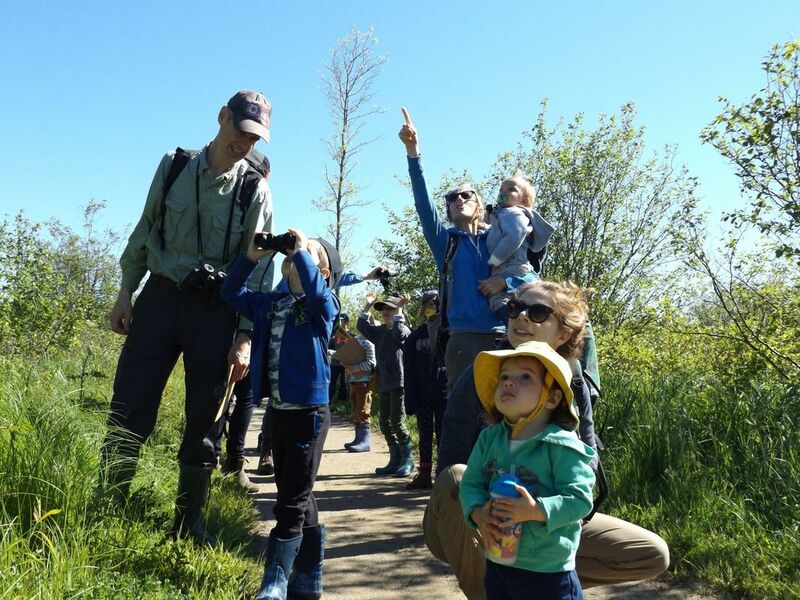 Regardless of skill level, this family friendly event is a great way for people to connect and explore with the natural world around them. 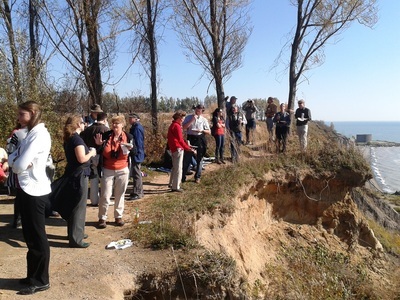 Participants can come out for just one outing or spend the day taking in any of the several planned walks. 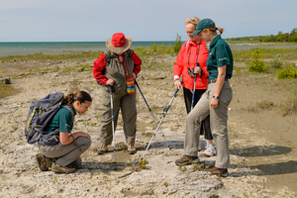 Help park ecologists and field naturalists from the region collect information on the variety of plant and animal life at Singing Sands. 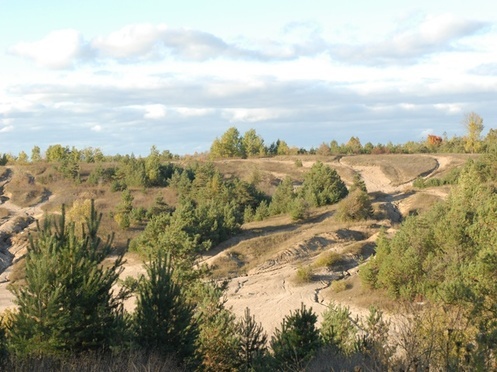 Singing Sands has long been recognized as an area with incredible biodiversity, with multiple overlapping ecosystems including cedar forest; coastal wetland; grassy fen; and dunes. Singing Sands is well known for its wildflowers, song birds and reptiles and over the course of two days, you’ll get to explore those and many of the lesser known species as well. No experience is necessary, however experienced naturalists are encouraged to join the group and help out. Please remember to dress for the weather, wear sturdy and comfortable footwear and pack a snack and some water. Scientists from rare Charitable Research Reserve and the Centre for Biodiversity Genomics will conduct a community blitz of this unique property on August 14. This guided survey will run from 10am to 10pm, and will be followed by a BBQ dinner. All participants are asked to meet at rare's ECO Centre at 768 Blair Road in Cambridge. 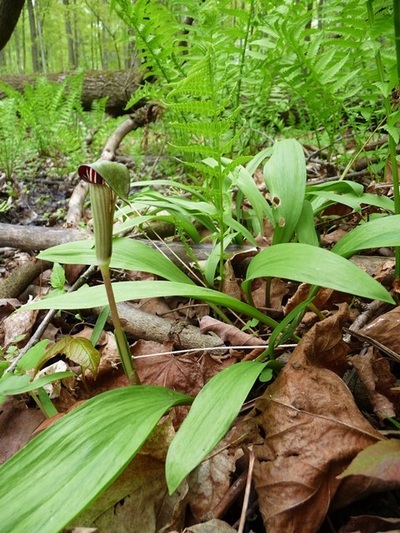 The species diversity of rare is significant for one-third of the plants of Waterloo Region are found here together with 70% of the birds, 60% of the amphibians and reptiles and 50% of the mammals. 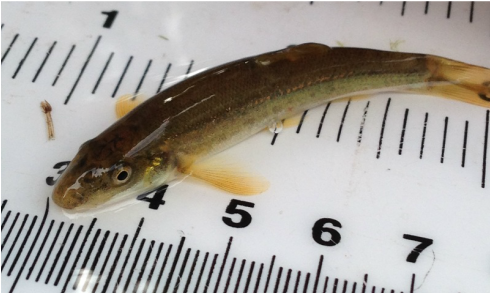 As well, about two dozen species of fish inhabit the rivers and streams of rare. 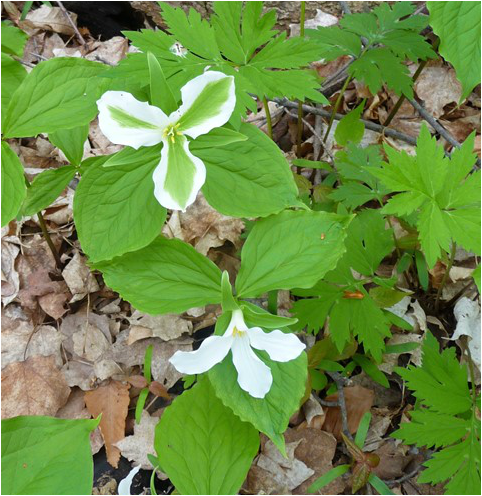 This diversity reflects its location along the boundary formed by the Carolinian forest zone of southern Ontario with the Northern Hardwood forest zone of the province. The rustle of maple leaves in the wind far above your head and the smell of wild leek below your feet are only a few of the delights you will encounter at the Kinghurst Forest Nature Reserve. 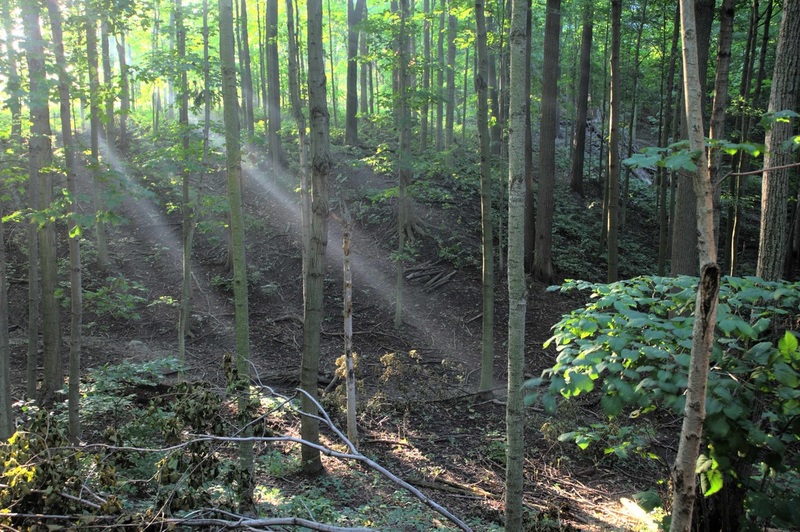 This 281-hectare nature reserve in Grey County contains a remarkable, mature maple-beech forest that is a rare example of pre-settlement woodlands in southern Ontario. Many of the trees are 250 to 300 years old, tower over 30 meters high, and clearly show the vertical stratification characteristic of a true, old-growth forest. Designated as an Area of Natural and Scientific Interest (ANSI), Kinghurst Forest is a special place that offers the naturalist a rare glimpse into Ontario's natural past. Misery Bay Provincial Park is a 1,100 hectare nature reserve park located along the southern shores of Manitoulin Island on Lake Huron, 35 km west of Gore Bay. A scenic and popular park, Misery Bay draws biologists, nature lovers, families and hikers alike to its significant landforms, extremely diverse habitats and distinctive flora and fauna. On June 5, Ontario Nature will join the Township of Red Rock for an exciting day discovering the aquatic life and boreal animals of the Lake Superior Conservation Area. 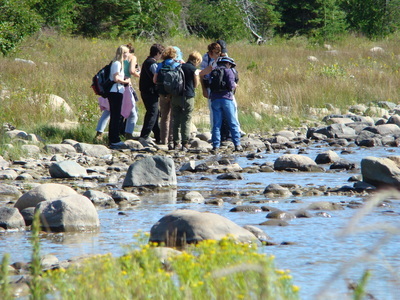 Activities will include critter dipping, tree planting, geo-caching and a trip on the "eco-bus." 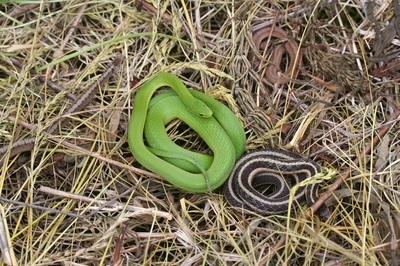 The Red Rock BioBlitz is being held as a part of the Get to Know Program. This event is open to the public and is supported by the Ontario Ministry of Natural Resources, Brass Bell Family Resource Centre, Thunder Bay District Health Unit and the community of Red Rock. 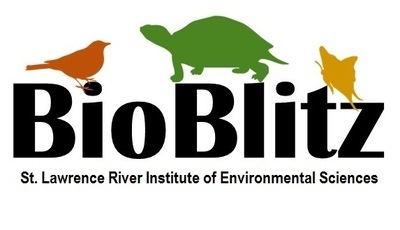 A BioBlitz is coming to Sault Ste Marie on June 6th and 7th at the Fort Creek Conservation Area. The Sault Naturalists of Ontario & Michigan invite you to come out and discover what lives in this 77-hectare park located in the heart of Sault Ste Marie. 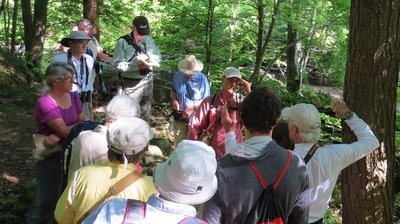 Their goal is to identify 500 species and at least one species at risk on the Fort Creek property. 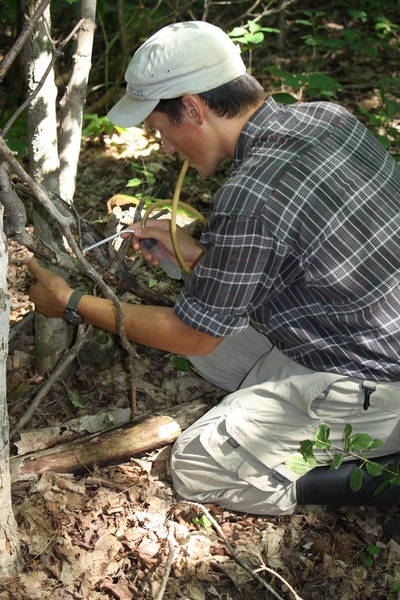 There will be taxon teams to cover birds, mammals, reptiles, amphibians, plants and insects. Any one can lend a hand, regardless of skill level. 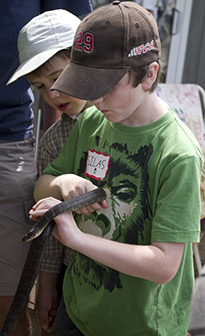 The BioBlitz starts at noon on June 6 and ends at noon on June 7. For more information contact David Euler at davideuler@xplornet.ca. 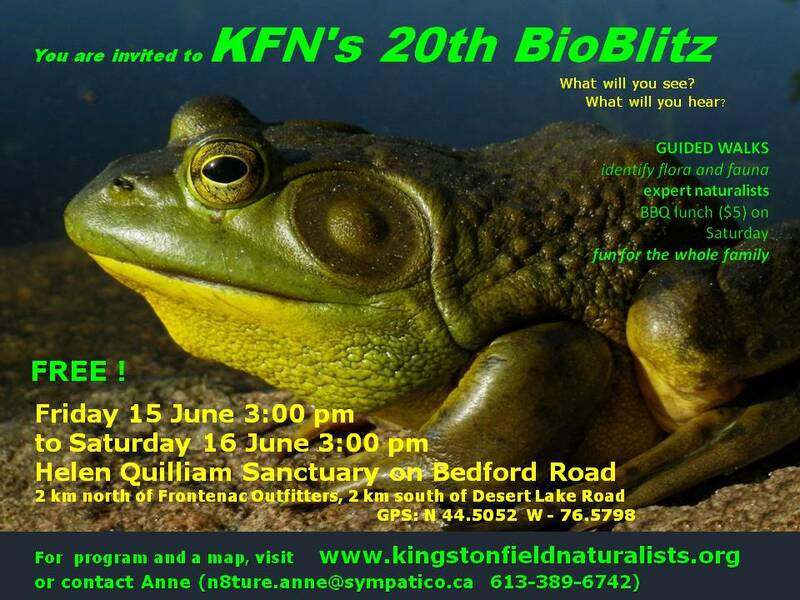 The Kingston Field Naturalists are holding their 17th annual BioBlitz on June 12-13, and you're invited! 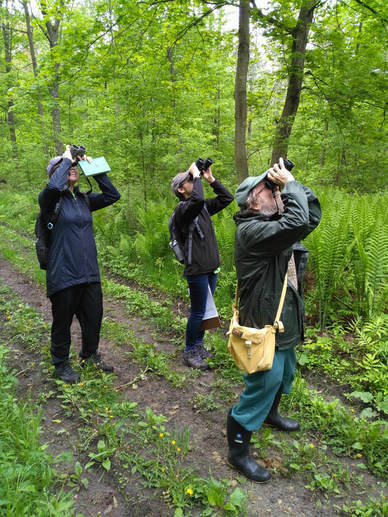 The BioBlitz brings together natural history specialists and members of the public to try to identify as many animals and plants as possible over a 24-hour period, in order to document the biodiversity and set a baseline for the area. It's a community-based volunteer initiative linking science, education and public participation. This is an educational and fun, free event. there will be guided walks to learn about a variety of groups of organisms and a BBQ lunch on Saturday. 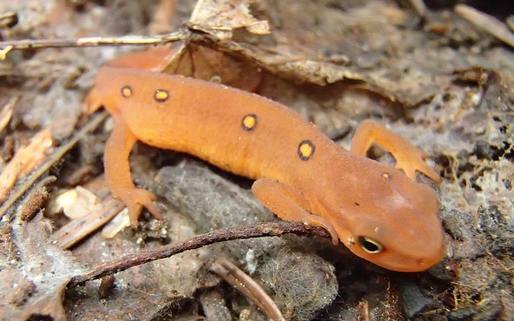 Nature Guelph is hosting a BioBlitz on June 13 at the St. Ignatius Old Growth Forest. 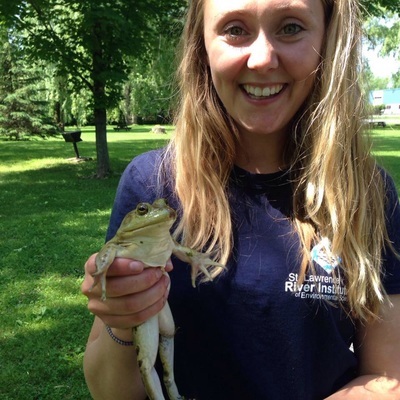 The BioBlitz will be part of the Guelph Two Rivers Festival and everyone is welcome to join. The day will kick off with an intensive survey of the forest followed by a suite of family activities in the afternoon. 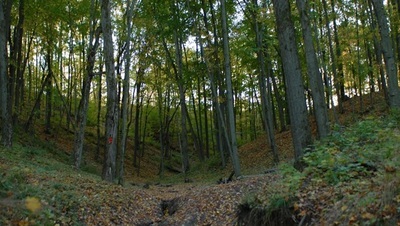 St. Ignatius' Old Growth Forest is home to numerous raptors and woodpeckers, as well as foxes, deer, salamders and bats. Come out and see how many you can find! To learn more about the day, contact Jenn Bock at jbock@uoguelph.ca. 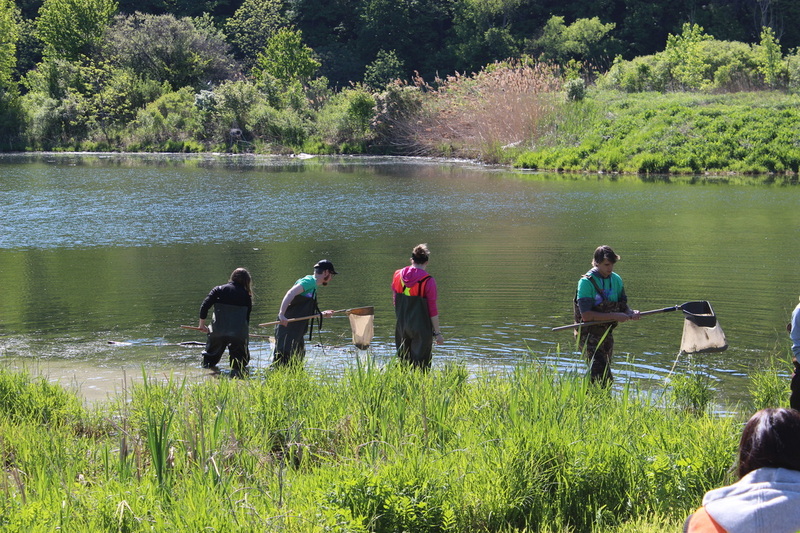 Volunteers are needed for the 1st annual Scanlon Creek BioBlitz. Come and share your expertise with others in a race against the clock to identify as many species of plants and animals as possible in one day! 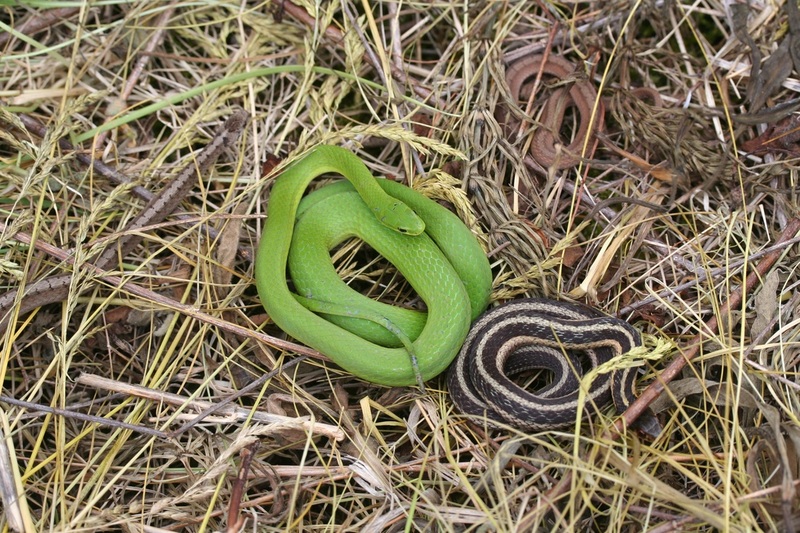 Surveys will be carried out to identify all the birds, frogs, snakes, insects and plants that can be found. Refreshments, snacks and light meals will be provided for participants throughout the day. Please Contact Christa Sharp at c.sharp@lsrca.on.ca for more information. 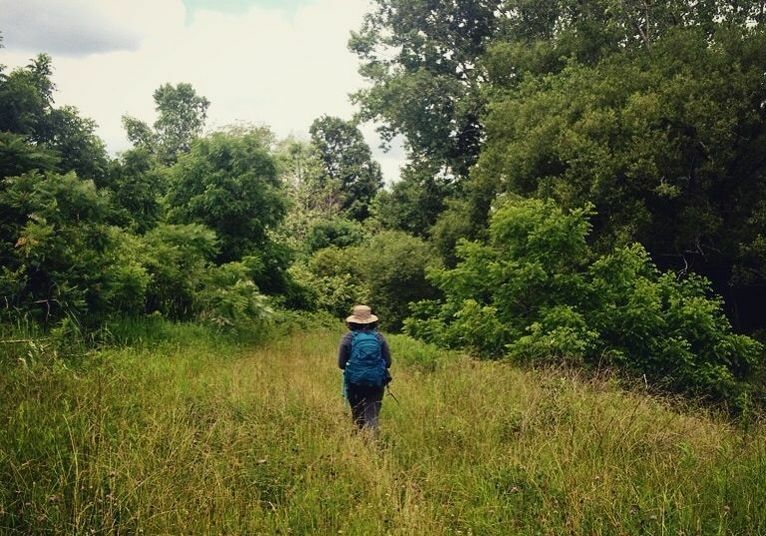 Join the Prince Edward County Field Naturalists on June 20th & 21st for a survey of the plants and animals that call Point Petre Provincial Willife Area home. 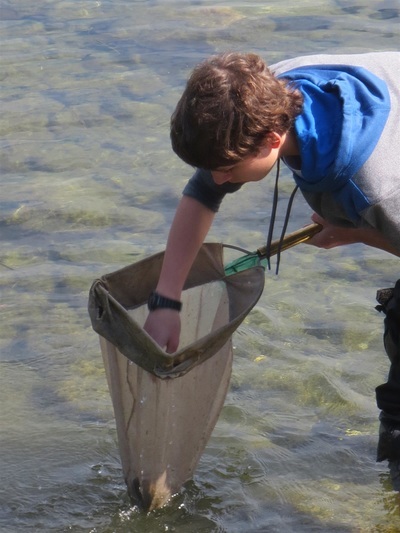 Located in Prince Edward County in eastern Ontario, Point Petre is a wonderfully diverse area that supports a variety of habitats including ponds, streams, marshes, woodlands and open fields. It's also one of Canada's birding hotspots, so grab your binoculars and field guides, and join the fun! All ages and skill levels are welcome. The survey will start at 11:00am on the 20th, and wrap up at 12:00 noon on the 21st. For more information contact Sheila Kuja at sanda.kuja@bell.net. Located in Windsor, Ontario, Canada, Ojibway Prairie Complex is a collection of five closely situated natural areas within a 10 minute drive from downtown. Totalling approximately 350 hectares (834 acres), these sites are collectively designated as the Ojibway Prairie Remnants Area of Natural and Scientific Interest (ANSI). Varied landscapes within the area include wetlands, forest, savannah and prairie provide habitats for a vast amount of biodiversity. 30 experts and approximately 100 participants set out into the Ojibway Prairie Complex on June 28-29, 2014 to document all species encountered. We found 1119 species of flora and fauna (and counting), including 12 species never-before recorded in Canada! 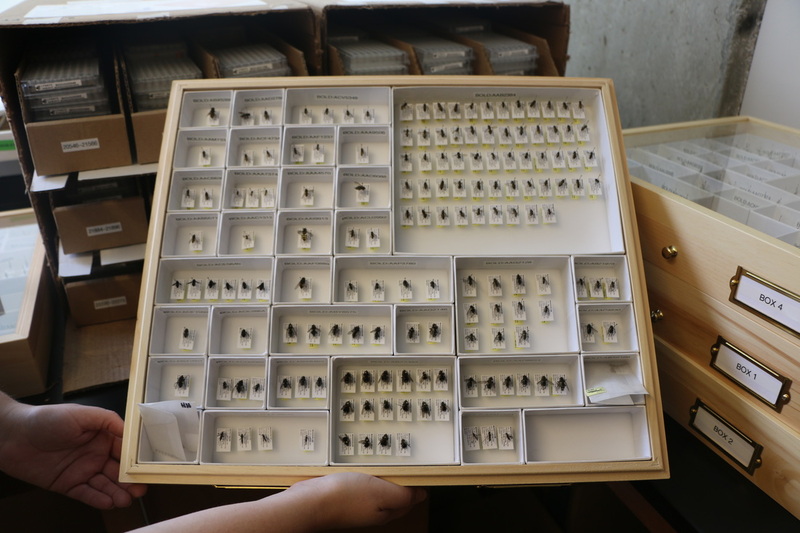 45 different orders of organisms were identified, plants and invertebrates made up the largest percentage of species found. Located within the Town of Wasaga Beach, Wasaga Beach Provincial Park is best known for its 14 continuous kilometres of sand beach on southern Georgian Bay; however this 1,500 hectare park is more than just a beach. 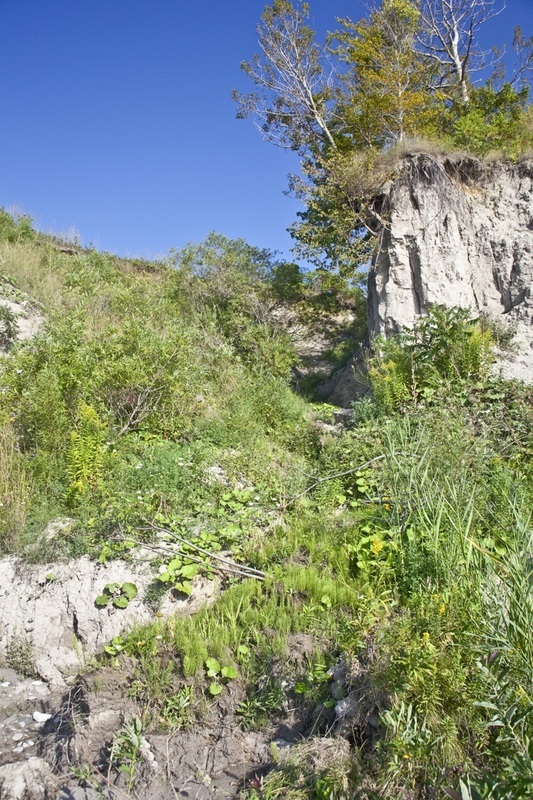 The park has a number of different dune, meadow and woodland communities, including several provincially rare communities, and hosts approximately 774 plants, 237 birds, and over 100 other species of wildlife. It also protects the largest and least impacted parabolic dune system in the province of Ontario. For more information, please contact Lacey MacDonald at lmacdonald@riverinstitute.ca or 613-936-6620. 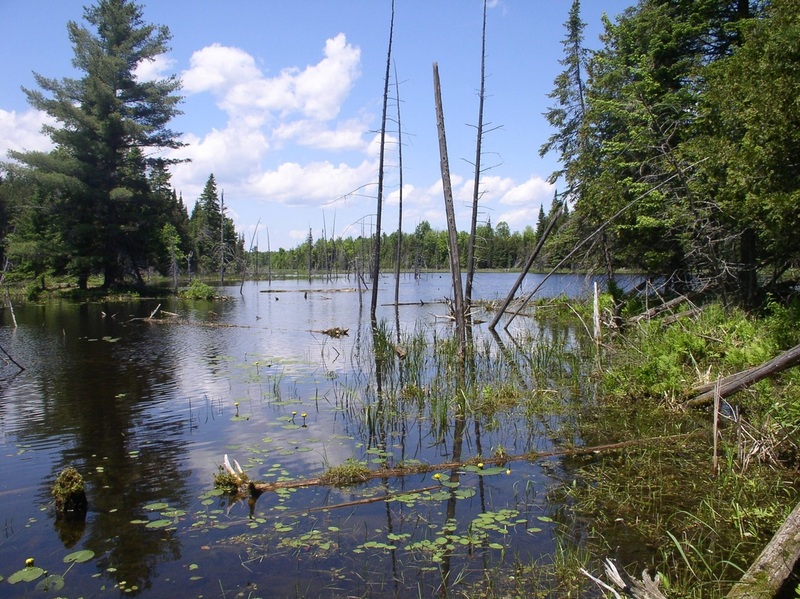 This richly diverse property, located within the Scotch Corners Provincially Significant Wetland Complex, has recently been protected for perpetuity through a conservation easement with the Mississippi Madawaska Land Trust. Ecologists Paul and Cathy Keddy have lovingly maintained this special property for almost 40 years. 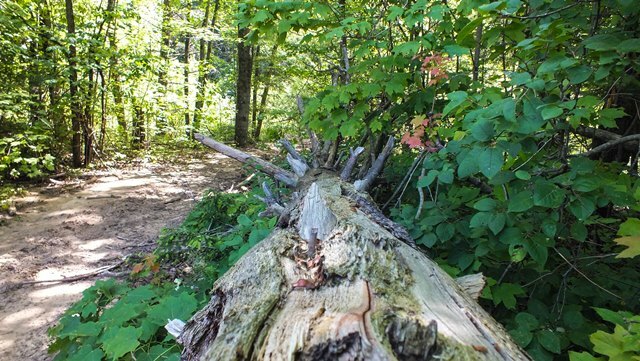 There is a network of Maintained trails, beautiful scenery and variety of habitats to explore! To register for the event, or for more information, contact Susan Sentesy at ssentest@mmltc.ca or 613-253-2722 and visit http://mmlt.ca for more details. Join the Huron Stewardship Council to document the plants and animals found in the Saratoga Swamp. This 500-hectare wetland is the largest remaining wetland in the Maitland River watershed. 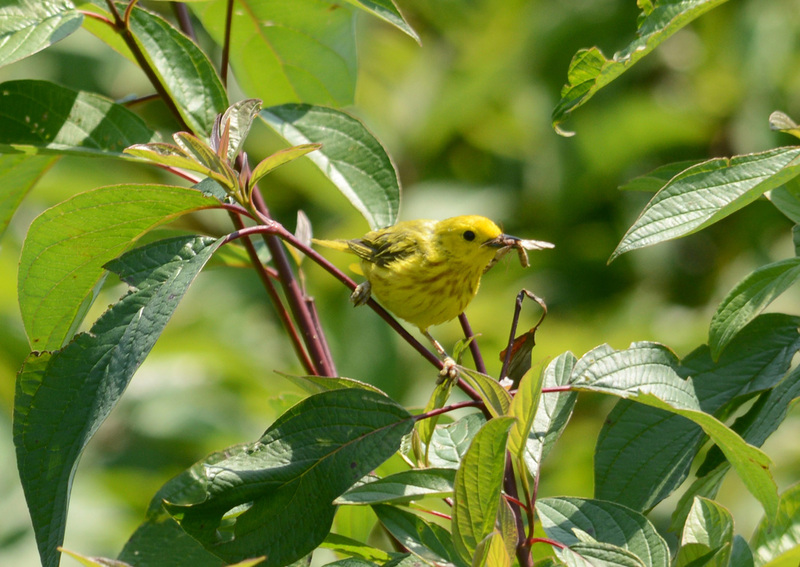 Its rich diversity of habitats supports nearly 500 species of vascular plants and numerous songbirds, raptors and waterfowl. 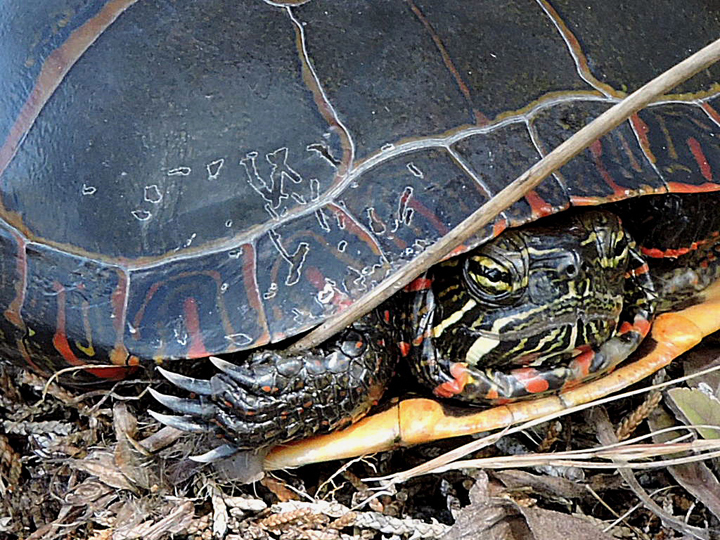 Redbelly and eastern milk snakes, bullfrogs and grey tree frogs are also residents here. All of the species information gathered will be included with the results from the Ontario BioBlitz, and will help inform future management plans for the swamp. If we have enough time and people, we will expand the inventory to include a local forested area as well. 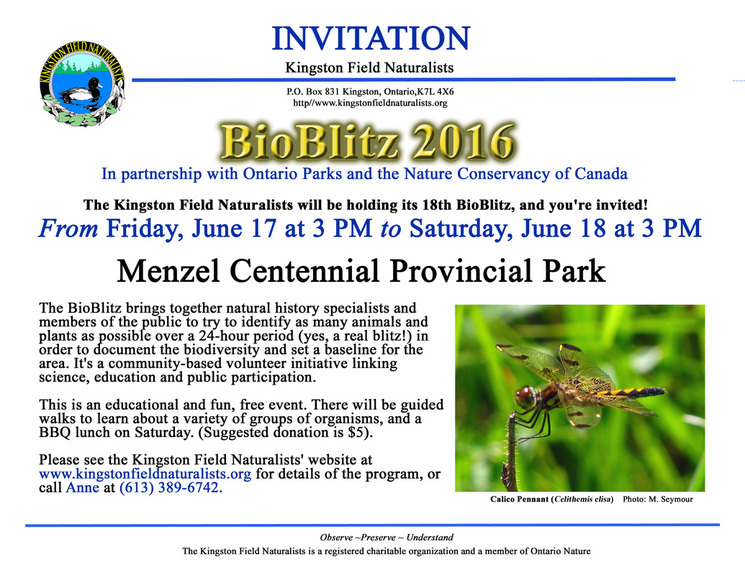 For more information or to join this bioblitz, contact Rachel White at 519-524-8394 ext. 3286 or huronstewardship@gmail.com. 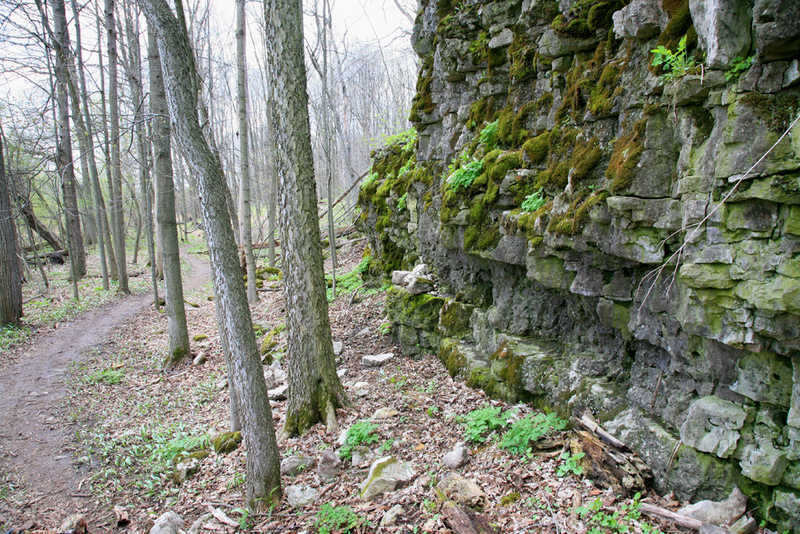 Jessup’s Falls is a gateway to natural discovery. Join the Nature Conservancy of Canada and the Jessup’s Falls Escarpment Landowner Group to identify and document the diverse life that calls this beautiful region home. While collecting important species information, you’ll learn about the history of the area and about some of its lesser-known wild inhabitants. You’ll also get a chance to explore Mariposa Farm, a family-run farm that specializes in chemical-free and sustainable agriculture. 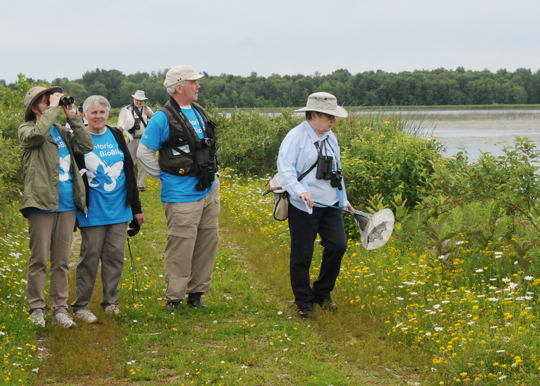 For more info or to join this bioblitz, contact Lisa Richardson at lisar@ontarionature.org or 1-800-440-2366 ext. 222. 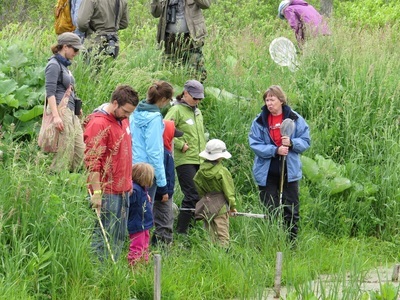 Sixty people of all ages joined Ontario Nature to learn about and identify the plants and animals found in Thunder Bay. A highlight for many was the discovery of an American white pelican flying over Lake Superior. 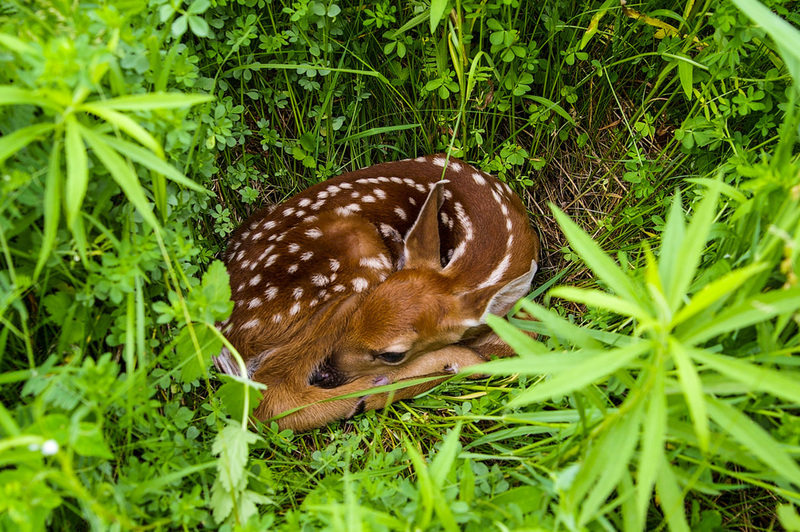 Stretching from Toronto to Windsor, the Carolinian Life Zone of southwestern Ontario is among North America’s most vibrant and fragile ecoregions. Its 15 biodiversity hotspots are home to more than 60 rare ecosystems and 150+ protected species at risk, the greatest concentration of species at risk in Canada.Within the Carolinian Life Zone, the Carolinian Canada Coalition is launching the Elgin Natural Heritage Inventory to develop an accurate and up-to-date record of Elgin County’s rich natural history. 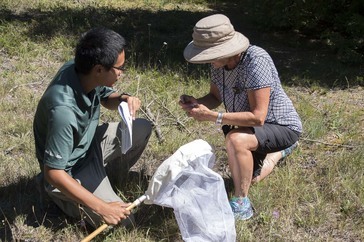 Species surveys will take place in various locations throughout the county and all citizen scientists are invited to the effort. 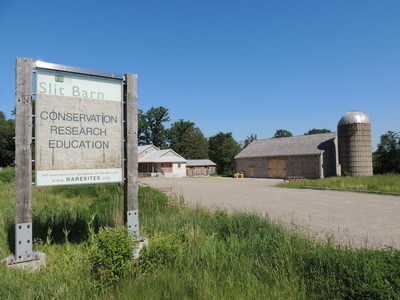 To learn more about the Elgin County inventories and how you can help, contact the Carolinian Canada Coalition at ElginNHI@carolinian.org or visit http://caroliniancanada.ca/elgin-natural-heritage-inventory.